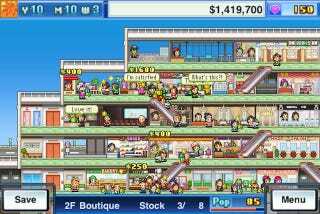 It's like Tiny Tower which was like SimTower but instead of building a skyscraper you're outfitting a mall. And nothing is more nostalgic (and/or fun) than re-living your mall hangout days, right? You can build your own now!